Hi! 🙂 I am your digital assistant, When would you like to schedule a visit?. Signed up! I will send you a reminder ⏰. Let your customers book straight away in messengers and from social networks - even complex bookings run smoothly. Calis helps you grow with easy-to-embed & customizable booking widgets for your website. 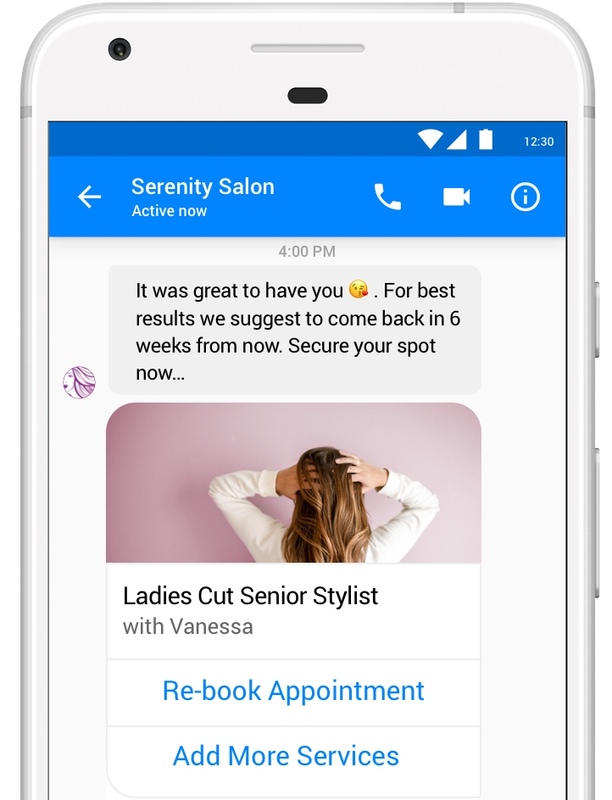 We’ve created a powerful AI that does the work for you and sends well-timed and targeted reminders and re-booking suggestions to increase bookings. 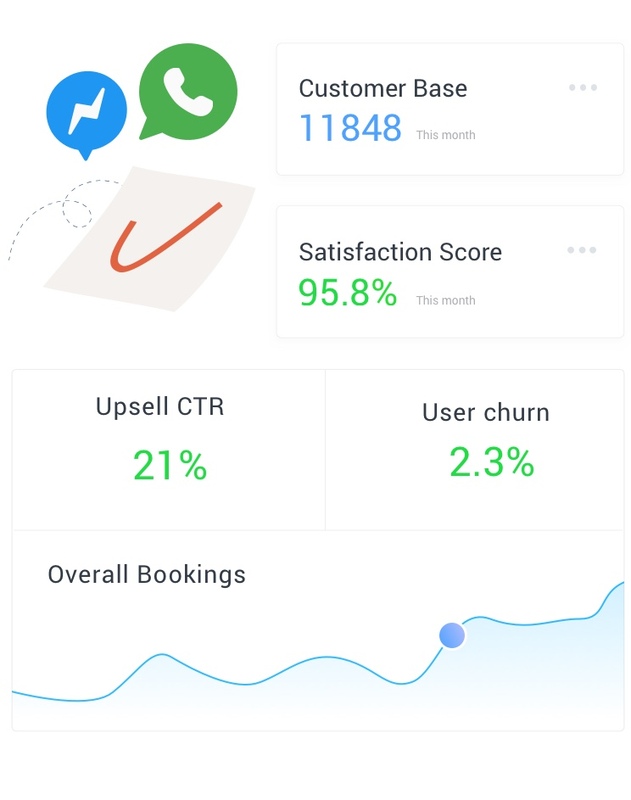 If you want to improve your online ads or want to start advertising, Calis comes with an smart advertising technology adapted to your business. Be unique in sending automated product offerings, engaging content, giveaways or do a live chat. Create your own communication style and offer a special experience. Calis provides an intelligent and delightful experience in messengers all along the journey from new customer to follow-up bookings. Free your staff and yourself from chasing customers via email and social media - rather let Calis handle your communication to save time and money. Calis offers a clear and simple visualization of the operations of your business and suggest actions that lead to success. Never get stuck again being on the phone hecticly searching information about your customer on the other line. All information is easily displayed so you can focus on your customer’s needs. What is your current technology setup? Have a full software suit already in place? So you are covered for basic staff planning, calendar and online booking. Great! But what about getting more new customer easily? If you are struggling to grow and communicate with your customer base it is time to make your life easier. We’ve removed all the roadblocks to make the switch a breeze so you won’t worry about the hassle. Our concierge migration team will handle moving everything. Using a standard online booking tool? So you have the basics covered, like a calendar to manage your day to day and your staff. But let us tell you there is much more you are missing out. What about all those customers waiting in Social Networks or sending Emails? 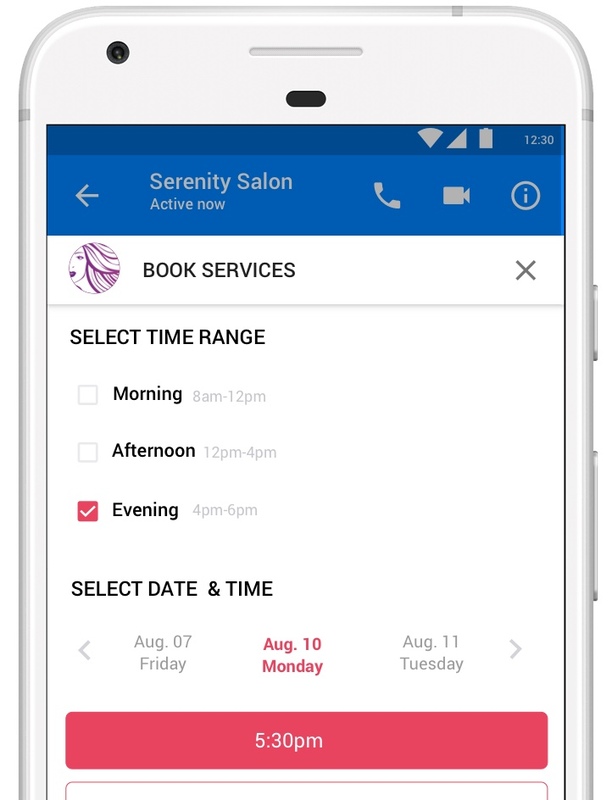 Don’t spend time anymore chasing those customers to nail an appointment. We’ve removed all the roadblocks to make the switch to the full Calis smart CRM so you won’t worry about the hassle. Our concierge migration team will handle moving everything. Start making more money today. Have no digital tool to run your business? We can help you with the digitalization of your business, so you can increase your service sales up to 600% with an inexpensive solution. It’s easy to use and empowers you to run your business online. It’s easier than you think to go fully digital. Get started with the Calis smart CRM to run your business more successful and with less effort. Our team has worked with many local businesses to get online so we will get you there as well. Don’t worry about the hassle our onboarding team will handle moving everything. It’s a new chapter for your business. © 2018 Calis Intelligence All rights reserved.